The unlikeliest of events set off bitter historical debates in India. Last week, it was the name actors Kareena Kapoor and Saif Ali Khan gave their newborn child. What should have been a purely personal decision became an occasion for Hindutva trolls to excoriate the couple on social media. In Scroll.in, Shoaib Daniyal pushed back against those upset by the actors’ decision to name their son Taimur, after a Turkic conqueror who, in late December 1398, unleashed in Delhi the worst recorded massacre in Indian history. While Daniyal made valid points about the nature of Hindutva, the case he made was largely a piece of whataboutery, discussing Alexander, Ashoka, Shivaji and the Marathas, while ignoring the man of the moment, Taimur himself. Daniyal exhibited a failing common to the Indian Left which, since the 1980s, has tended to emphasise deficiencies of Hindu faith and culture while overlooking those of Islam. Let me clarify, before rebutting Daniyal’s argument, that I am very far from having any sympathy for the Hindutva cause. For proof, read my column about the lunacy of Hindutva history, or this one about Hindutva myths frequently taken as historical truth, this one contesting the idea of the Indus-Saraswati civilisation and discussing how caste discrimination makes itself felt in architecture, urban planning and sanitation; a further exploration of why the Indus Civilisation could not have been Vedic; a take-down of the popular idea of Rajput military success; a repudiation of the notion that yoga as we know it reaches back millennia; a critique of beef bans, written after I signed on to a PIL against one such prohibition in Maharashtra; and a piece underlining the extremist nature of Narendra Modi’s ideology against attempts to paint him as reasonable. It is true that Iskander and Sikander are common names in West Asia, but what Daniyal does not take into account is that Alexander’s conquests pre-dated Islam. His best-known victory came against the Achaemenid emperor Darius III, whose capital Persepolis he destroyed. The Achaemenid kings were Zoroastrian, and to this day, Alexander remains one of history’s great villains in the eyes of members of that faith. Parsis are commonly named after Achaemenid kings like Cyrus/Kurush and Darius/Dara, but not after Alexander. Since Muslim Iranians don’t identify with the Achaemenid kingdom the way Zoroastrians do, they bear no grudge against the Macedonian general. Let’s consider the Mauryan emperor next, whose name, in Daniyal’s words, “carries no particular taboo in Orissa in spite of the Kalinga war”. The reason for this is rather obvious. Ashoka is revered in India not because of his bloody victory against the Kalinga army but his remorse in its aftermath. Ashoka means “without sorrow” but it his shoka that makes him great. His rejection of gratuitous violence, which was forgotten by Indians but returned to our consciousness after the decipherment of Brahmi in the 19th century, has made him an important figure in the history of pacifism, to which India has arguably contributed more than any other nation or civilisation. Since no historical works written by Hindus in Taimur’s time exist, it is hardly surprising that none makes mention of him. But it would be equally surprising if Muslim rulers’ discriminatory treatment of people professing other faiths did not leave behind a residue of resentment, one that has built up over the generations and today undergirds Hindutva. Is it ahistorical to condemn past religious bigotry, given that it happened in eras before liberal humanism established itself as the governing philosophy of many nation-states, India included? Daniyal believes so. He writes, “The past truly is a different country and to make it fit modern standards of morality, a fair bit of invention needs to be indulged in.” While the idea that morality has differed over time is hardly controversial, using it as cover to provide moral clean chits to past rulers seems less reasonable than delving into the specifics of history to form judgements. Take the case of Shivaji, the third king Daniyal counterposes to Taimur: “Gujarat, where Hindutva has been a powerful political force for decades now, has adopted Shivaji with even more gusto, building statues in cities like Surat, which, ironically, were sacked by the Maratha chief early on in his career”. It’s true that Surat suffered substantially in the war between Mughals and Marathas, but Shivaji’s conduct during his raids on the town did not lack an ethical dimension. In Travels in the Mogul Empire, Francois Bernier records how the Maratha warrior ensured the safety of a Catholic priest named Father Ambrose for he had heard of his reputation as a saintly man, and also spared merchants known for their charity. Moreover, in contrast to Taimur’s sack of Delhi, Surat witnessed no wholesale massacre during the two major raids Shivaji conducted. Khafi Khan, a 17th-century annalist whose version of events is very different from the one favoured by Hindu and Marathi chauvinists and who considered Shivaji an enemy, had this to say about the Maratha king’s treatment of Muslims and Islam: “He made it a rule that whenever his followers were plundering, they should do no harm to mosques, the book of God or the women of anyone. Whenever a copy of the sacred Quran came into his hands, he treated it with respect and gave it to some of his Muslim followers”. There is an ecumenical tradition in India that is among the civilisation’s greatest ethical achievements, which stretches back to the time of Chandragupta Maurya in the fourth century BCE, was eloquently theorised by Abul Fazl during Mughal emperor Akbar’s heretical period, and is visible in the actions of Shivaji described by Khafi Khan. On many occasions, these high ideals were not visible in practice, but it is disingenuous to suggest, on that basis, that there is no difference between the Indic tradition of ecumenism and syncretism on the one hand, and Islam’s history of discrimination on the other. Daniyal is perfectly correct in alluding to, “the castiest Manu Smriti, a book of law linked to India’s crippling 2,000 year old system of caste apartheid”, but his analysis is unbalanced by his dismissal of resentment among non-Muslims created by the trail of desecrated shrines and vandalised icons that stretches from Muhammad’s command to destroy the idol and temple of Al-lāt in the city of Taif to the destruction of the Lion of Al-Lat by ISIS in Palmyra. 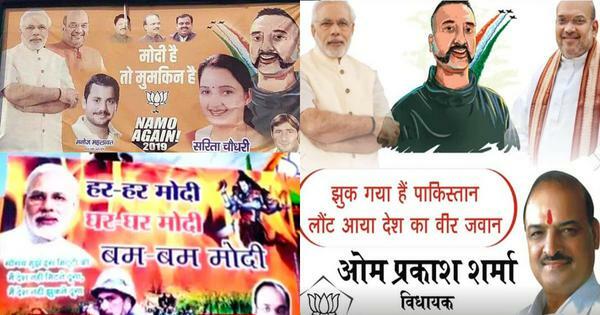 Iconoclasm and the inequitable treatment of non-believers has been a rule rather than exception in Islamic cultures, just as caste is the rule rather than an exception in Hindu and Indian culture. These cultural drawbacks continue to resonate in contemporary society and politics, and both ought to be identified and called out with the same vigour. Having said this, rules are never uniformly or invariably applied. While the Left takes refuge in shoddy scholarship of the kind offered by American historian Richard Eaton in an effort to minimise the deleterious impact of Islamic iconoclasm, Hindutvavadis, and even mainstream publications like Lonely Planet display a conscious or unconscious anti-Muslim bias. It is only by looking at historical sources dispassionately that one can come to any conclusions about particular acts of destruction. How does the evidence stack up in Taimur’s case? I begin with a brief account of the historical context before pronouncing judgement on the Central Asian conqueror. It started 800 years ago, with a man named Temujin. In 1205 AD, when he was a little over 40, he united the nomads of Northeast Asia’s grasslands, and took the title Chinggis Khan, Mongol for “Great Ruler”. The name is often spelled Genghis or Changaiz. Centuries of inflation and debasement have turned Khan into a common surname among Muslims, and created the false impression that Chinggis was a devotee of Allah. Having established his rule over “all the people who live in felt tents”, Chinggis turned his attention to kingdoms beyond his own. He, and later, his children and grandchildren, visited a scale of destruction upon China, Iran, the Caucasus, and Russia far beyond anything those societies had experienced before. Dozens of major cities never recovered from Mongol wrath, and the population of the world dropped substantially in the period of their main conquests. In the course of establishing the largest land-based empire in history, the Mongols destroyed the Abbasid Caliphate and its capital Baghdad. Arabs have had few military successes in Asia since, to the point that an Arab army managing not to lose a war miserably in our time is received by the Arab street as a triumph. The Mongol empire gradually broke up into smaller Khanates, the heads of which adopted many of the beliefs and practices of the cultures they ruled. In West and Central Asia, this meant converting to Islam. 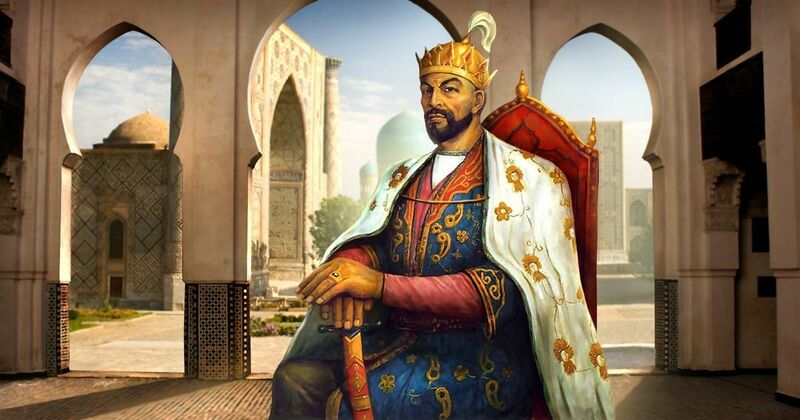 In the Khanate of Transoxania in the late 14th century, a general named Timur (variously known as Tamerlane, Tamburlaine, and Taimur-e-lang) grew enormously powerful. He tolerated puppet rulers for a while, but eventually deposed them to become king himself. 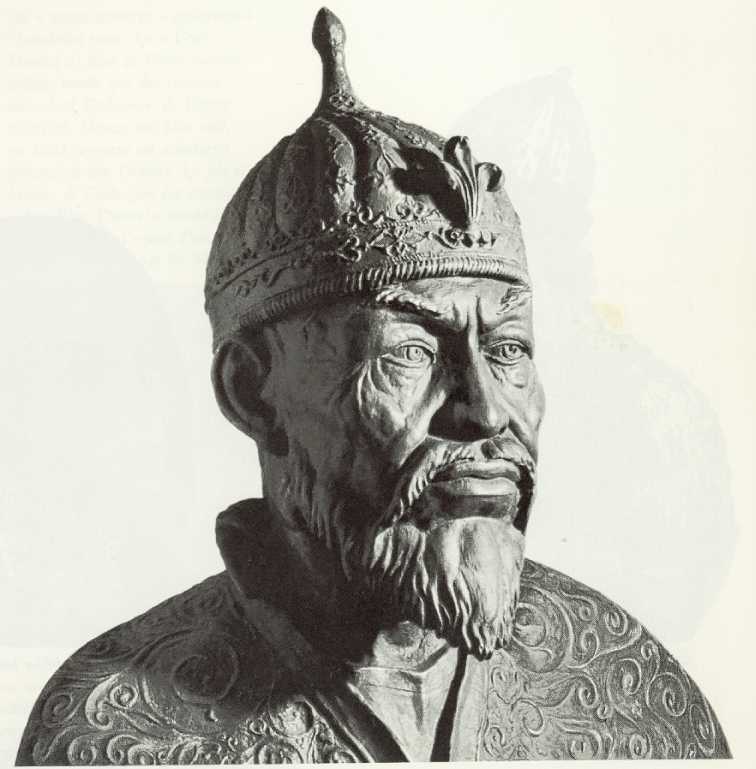 He adopted the title “Amir”, meaning general, because only descendants of Chinggis could be Khans. Timur’s army was as powerful and ruthless as the unstoppable force assembled by Chinggis a century and a half previously. It slaughtered soldiers and civilians on a genocidal scale everywhere it went, as the Mongols had done. His ambition was to recreate the Mongol empire as it had been at its zenith, and he conquered Iran, Iraq, Azerbaijan, Armenia and Georgia in that quest. He then invaded India, a land Mongol armies had failed to penetrate thanks to the brilliance of the likes of Allaudin Khilji. 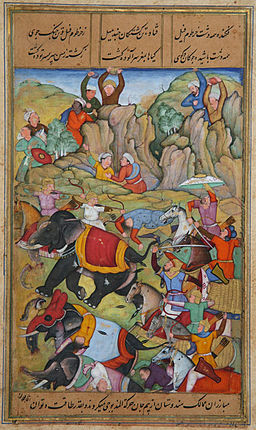 The Delhi Sultanate was wobbly in Timur’s time, which allowed him to take control of the capital in 1398, after which he unleashed a massacre of the kind with which the rest of Asia had grown depressingly familiar but would stand out as a uniquely horrific moment in Indian history. The dynasty Timur created out of nothing returned to almost nothing within a few generations. His successor, Shahrukh, moved the capital to Herat, where the Amirzadas, or sons of Timur (Mirzas for short), adopted Persian culture and urbane manners. In the boondocks to the north, a Mirza named Zahiruddin Muhammad was born in 1483, descended from Timur on his father’s side and on his mother’s from Chinggis. His Mongol uncles couldn’t pronounce his high-faluting name, and called him Babur instead. An Uzbek descendant of Chinggis named Muhammad Shaibani Khan was rising through the ranks at this time, and became the Timurids’ nemesis. Babur , who had taken hold of the principality of Kabul, visited his richer cousins in Herat to seal a coalition against Shaibani. He was entranced by the poetry, painting, and architecture of the Timurid capital, but soon understood that his cousins were too soft to take on the wily Uzbek. Soon after he returned to the relative safety of Kabul, Herat was overrun, leaving Babur the last Mirza standing. Eventually, he felt confident enough to grab what he believed was his due, riding into India at the head of a few thousand skilled horsemen and defeating an army many times the size of his own. He then did something unique, something that set him apart from the many warriors who had come through the North-Western mountains and fought their way to the Indo-Gangetic plain. He stayed on and ruled, establishing an Indian dynasty of his own. Even back in the 14th century, waging war required rudimentary justification. Timur’s favourite one was that the land he planned to invade was not Islamic, or not Islamic enough. India, with its tens of millions of kafirs, was an easy sell. The act that defines Timur in my mind took place in the town of Loni a few days before the battle against Delhi’s Tughlaq Sultan. 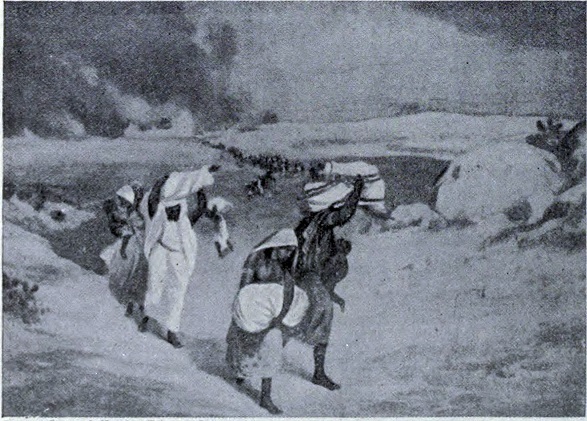 One of Timur’s emirs expressed the fear that the men, women and children they were dragging with them would break free and attack from the rear while the army was occupied in battle. Timur’s solution was to have a hundred thousand adult males slaughtered before the battle. But this was not the most appalling aspect of his order. He insisted that individual owners would put their own slaves to death rather than outsource the task. Anybody failing to kill would be killed himself. There was nothing Islamic, or even Mongol, about the nature of the Loni massacre. The barbaric act demonstrates that Timur, for all his unsurpassed comprehension of war, lacked any moral compass. He revelled in torture and death in the way only a psychopath could. Any additional cruelty engendered by religious bigotry was but a tiny addition to his gruesome record. As a role model, he falls some way short of Alexander, Ashoka and Shivaji. Given the facts I’ve outlined, I’d be unlikely to name a son of mine Taimur, though that’s neither here nor there. For those upset by Kareena and Saif’s choice, I have a remedy. Saif’s sister Zoha is married to Kunal Khemu. I propose a campaign to persuade them to name any future son after a Hindu warrior, to restore the cosmic balance upset by the Taimur episode. My vote goes to Hemu, Adil Shah Suri’s general, because – Hemu Khemu.